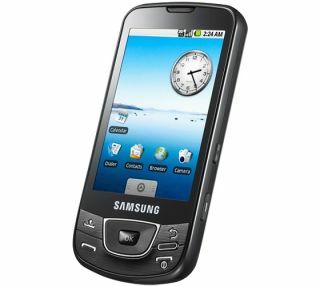 Samsung has released a new firmware update for its i7500 Android Galaxy, helping to fix some of the inherent problems. The new device has been roundly panned by reviewers as the battery life is woefully short, with an annoying lock system putting many off purchase. However, the new I7500XXII5_VIAII5 firmware (say that three times fast) will apparently sort out the battery life and 'bring stability' to the phone. The lock screen will apparently also be reduced from around a minute (we're exaggerating, but the phone very much frustrated us in our review) to under 0.5 seconds. And to make it look like it's not just fixing these problems, Samsung has also altered the compass settings to work more effectively with Google Maps and Sky Maps. The update is available for users directly from PC software that comes with the phone, so we'll be testing it out later today and updating our review if the problems actually are sorted.